The Aviator Cardigan is one design of a series also featuring the Aviator Sweater and the Long Aviator Jacket. 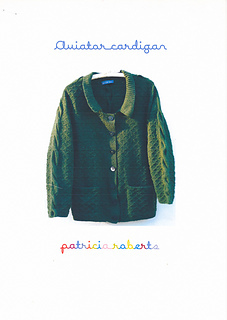 Common to the designs is an all-over diamond pattern and cables on the sleeves. 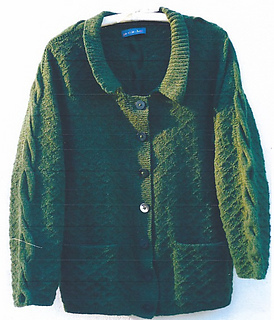 This cardigan has a lowered neck and knitted collar, buttoned front bands and deep inset pockets. 11 x 50g balls of Lambswool No 2 are required for the cardigan.